Size: 2 x 2 "
Price listed is for each snap pendant base. 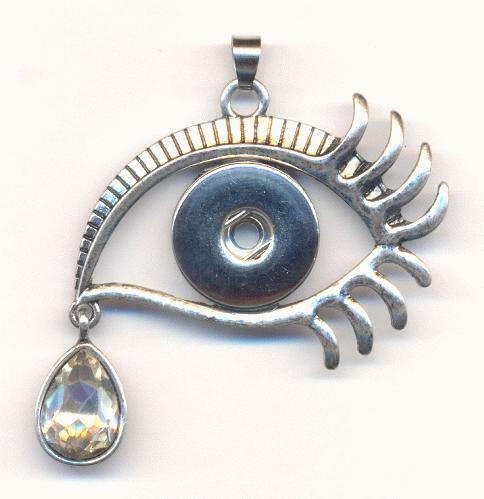 These are eye shaped pendants that measures about 2'' by 2''. The pendant is made out of antique silver plated cast metal with a 14/10mm crystal pear rhinestone hanging as a tear drop. There is a snap disc in the center that measures about 18mm but could also fit a 20mm snap. The bail at the top measures approximately 7/5mm with a open hole size of 6/5mm. These only need a snap of your choice and chain to be complete!